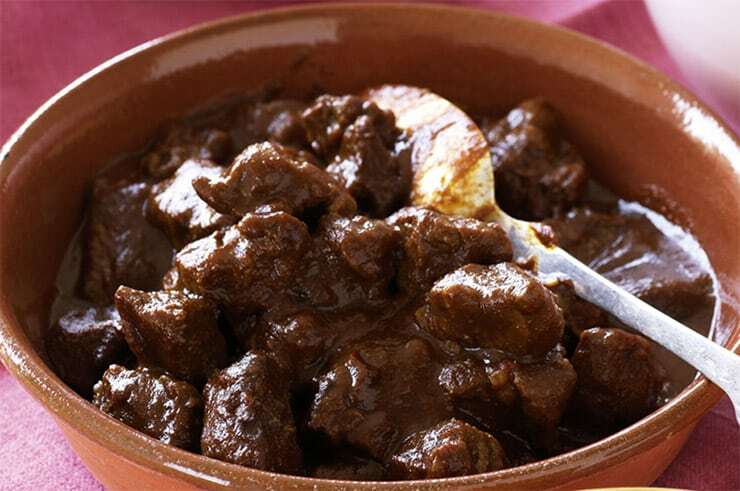 The tart taste of onions and curry powder complements the flavour of lean beef. Apricots, on the other hand, add a gentle touch of sweetness you wish to see in a good beef madras recipe. This combination is brimming with nutrients and will create a truly fantastic meal! Cut striploin into three centimetre cubes. Brown small quantities of beef cubes in a large non stick frypan on high heat. Add curry powder, garlic, onion and ginger. Cook for one minute. Stir in reserved apricot liquid and half the apricot halves, reserving rest for garnish. Bring to boil, reduce heat, and simmer over low heat for five minutes. Garnish with apricot halves. Serve with cucumber raita and lightly cooked green beans or spinach leaves, allowing one cup per person.